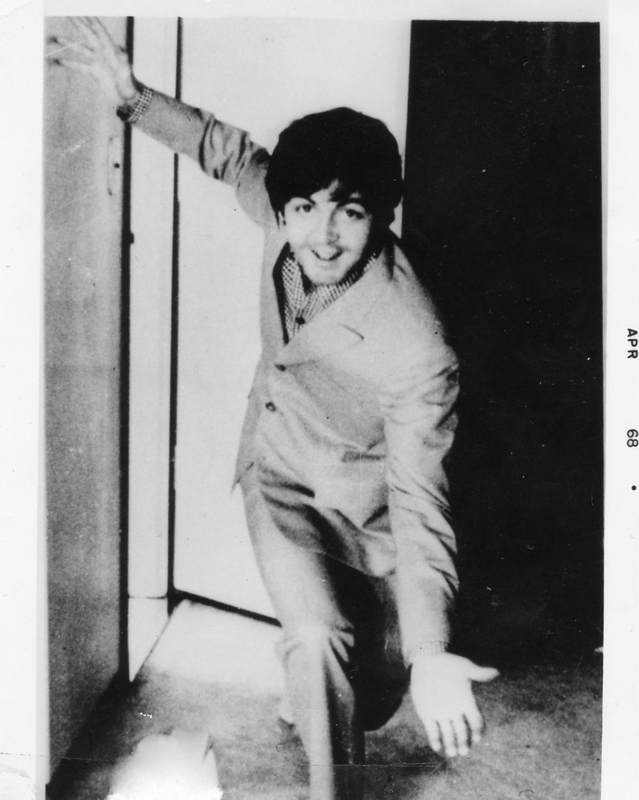 Meet the Beatles for Real: Ta-dah McCartney! This photograph was badly damaged and I tried to fix it with software. You can still see some of the bad areas at the bottom, but believe me---it looks a lot better! Glad to be able to "save" this photo because it is a good one. In the photo is written "APR 68" but I'm sure that picture is from the 1966 tour. Japan, Phillipines, one of those places.